This Mexican recipe is quick, easy to make & perfect for a meal when you’re low on time. 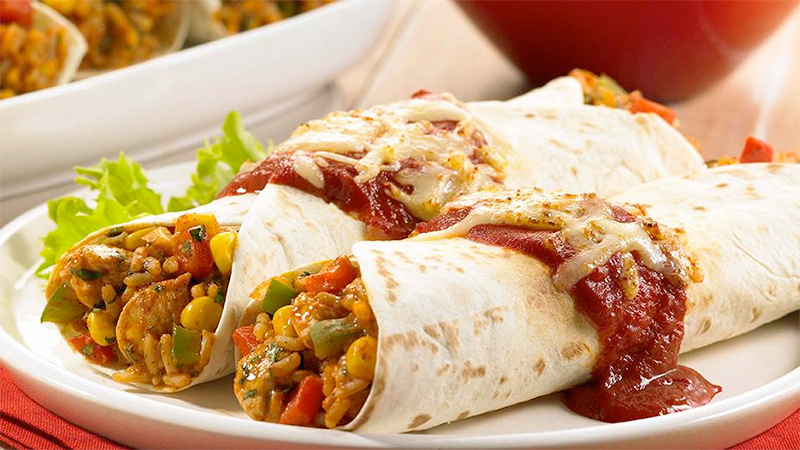 So tuck in to a classic Spicy Rice & Chicken Enchilada in a flash with a simple to make recipe. Made with succulent strips of spiced chicken, sautéed onions and peppers with sweetcorn and mature cheddar cheese, all wrapped in a toasty warm tortilla. Perfect as a lunch or dinner and best enjoyed with family or close friends. To get started, preheat the oven to 180ºC (160ºC for fan assisted ovens), gas mark 4 and lightly grease a large ovenproof dish. Heat up the oil in a large pan and stir-fry the chicken and onion over a medium heat for 3-4 minutes, until the chicken is lightly browned. Stir in the rice and cook for 2-3 minutes. Mix together the Original Enchilada Spice Mix with both sachets of the Tomato Sauce and 150 ml hot water. Now throw in the peppers and sweetcorn and cover it up again to simmer for another 5 minutes. Once the chicken is tender and most of the mixture is absorbed, stir in half of the cheese and the fresh coriander. Warm up the Soft Corn Tortillas, following the instructions on the pack. Grab a tortilla and spoon over some of the rice and cheese mix in the centre. Roll it up and place the folded side down in an ovenproof dish. Repeat until you’re out of tortillas, and then smother them all in the leftover cheese sauce. Bake for 10 minutes until golden and bubbling. 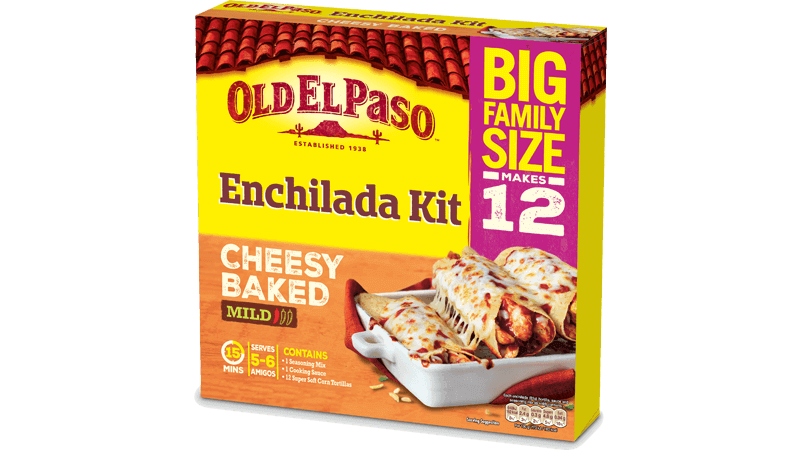 Let everyone help themselves to a couple of rice and chicken enchiladas and eat with a fresh green salad, scattered with the rest of the grated cheese for a real Mexican feast.